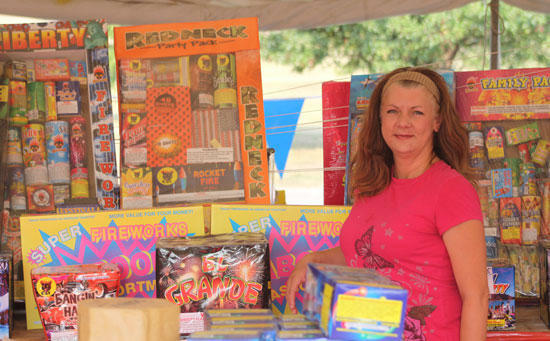 Gretchen Hall displays some of the fireworks for sale at the stand at Parsley's Market on John Bragg Hwy. Sunday morning. The continuous hot, dry weather has had a negative impact on businesses over than local farmers. Fireworks vendors are also feeling the financial effects. Jerry Smith, who along with Gretchen Hall operates a fireworks stand at Parsley's Market on John Bragg Hwy., reports his sales are down significantly from last year. 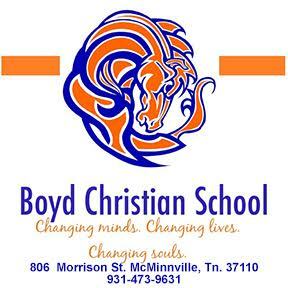 The stand is owned by James and Lorie Gibson of Eagleville. "We had over $16,000 in sales last year and so far this year we have done only $2,200. To this point we are running about $8,000 behind what are costs are." Smith is hoping sales pick up over the next few days as the Fourth of July holiday approaches. "If we don't do $2,000 to $2,500 in sales the next few days we are sunk," Smith said. Smith said that the lack of rain and concern for fires has caused sales to be down, and because of that they have altered their marketing strategy. "We have been asked to sell only that which goes high, explodes in the air, and burns out before it hits the ground," Smith said. "We are not selling ground spinners and cones." Smith added they sale only the highest-quality brands of fireworks, such as Black Cat, Great Grizzly and MegaBanger.